Amateur Radio Check-In every Sunday morning, 9:00 AM, Simplex 145.570. If busy, go down by 10’s to 145.530. NO FURTHER! 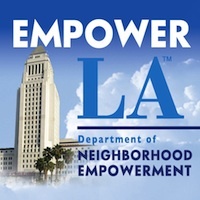 For Info on Emergency Preparedness call Linda Pruett at (818) 345-9809 or email LindaP@lakebalboanc.org. This is our annual Holiday Party, and in addition to the frivolities, Girl Scout Jennifer Spinoglio (working on her Senior status — same as Eagle Scout in Boy Scouts!) will do a presentation on “Communicating Disaster Preparedness to Children”. Come cheer her on as she fulfills another of the many requirements she must fill — and perhaps one of the most difficult for many of us — public speaking! And, Jeff Edelstein of SOS Survival Products will join us with some great ideas for EP/Disaster Preparedness gifts for everyone on your gift list! You may even get an idea or two for additions to your own “Dear Santa” list! Also, this Friday, December 7th, is Contribution Day from Del Taco, 7545 Balboa Blvd., just north of Vanowen, across from McDonalds, from 4:00 PM to 7:00 PM. Twenty percent of all sales between those hours will be donated to Southern California Preparedness Foundation for the Valley Disaster Preparedness Fair, CERT, and Map Your Neighborhood. We still haven’t finished paying for the 2018 Fair, so we really need your help on this one, guys. Won’t cost you a penny and you can either eat in, or go thru the drive thru just as you ordinarily would. You don’t have to say anything — the donation from Del Taco is automatic. 🙂 We’re still paying off the 2018 Fair, so come help us out — painlessly! There will be a little Holiday gift for the person coming up with the best idea for a Meeting topic for our group! Come armed with several suggestions!!! Yaaaaaaaaaay, Team!!! A bit of personal good news to share — my daughter finished 5 months of chemo while I was there in NC with her for Thanksgiving. Her surgery is scheduled for January 3rd, but her Docs all tell her the “hard stuff is over”! Yaaaaay! Wishing each and every one of you a wonderful Holiday Season, and the best New Year ever! Hoping to see many of you this Saturday at the meeting. Please see the attached Agenda. Questions?